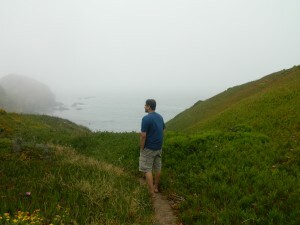 The biggest attraction of our trip to the west coast trip was the epic road trip that we were going to do. For us it has always been the favorite aspect of any trip. 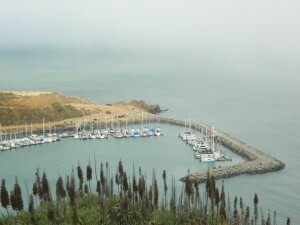 Hence, when we reached San Francisco we decided to cut down our time in the city to just one evening and the following morning. It was probably the wisest decision we made on our trip. Large cities have never interested us. Small towns where you can breathe the everyday life of the people and feel their warmth are what excite us. 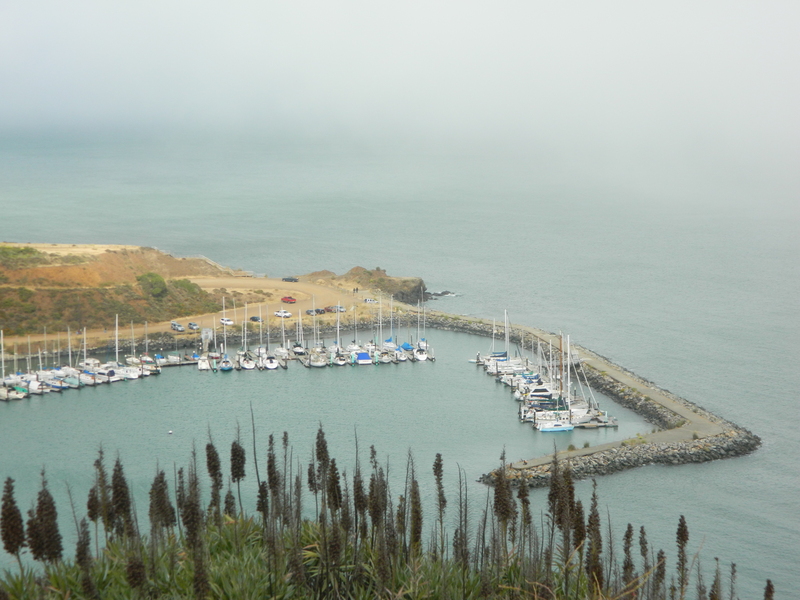 The best parts of San Francisco for us were Sausilito and Marin Headlands. We left San Francisco brimming with excitement of beginning our road trip all the way to Nevada and Arizona. We stopped on the way at a local bar near Oakdale called Whiskey River Saloon. A far cry from the bars of the city. This was a gritty place where travelers stop by. Bike riders from everywhere stop here for a beer and a game of pool. We both ordered a pint of Corona and the way they served it with a pinch of salt, it was probably the best beer I have had on the road. These are the places that I long for. Not the swanky city bars or those upscale restaurants, but little places that touch your heart – whether it was the little bar in a dark alley in Talihina or the lone bar that stood in the burning heat of Northern Territory, Australia. Stories are made in these places and itineraries are forged for life. Beyond the closed doors that restrain the highways and the speeding mangle of metal and rubber, there is a life that only the road trippers understand. Our first stop on the road trip. Lee Vining. Lee Vining is a really small town – almost like a gateway to Yosemite. We decided to do Yosemite as a drive by since there would be too many people and we hadn’t really planned it. 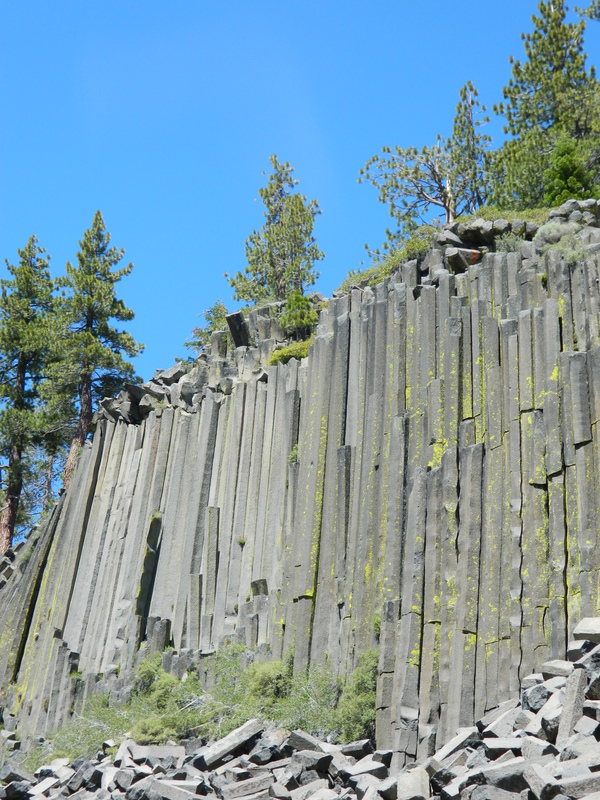 What we were really interested in doing were some local attractions like the Devils Postpile and Rainbow Falls which were all a part of the Inyo National Forest. We woke up in the morning and had our breakfast at Nicely’s which is kind of like a diner and had an almost home cooked American breakfast. We went to Mono Lake to look at the Tufa structures. After a while we started driving towards Devils Postpile and the road was beautiful. 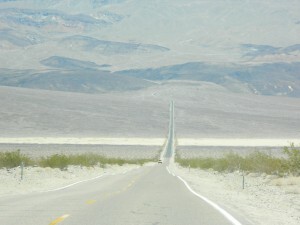 It was a deserted twisting and turning interstate with picture perfect surroundings. The exit toward Devils Postpile was clearly marked and as soon as we got off the interstate the road became a single lane scenic drive all the way up to Mammoth Lakes Resort. My first and honest opinion about the place was that it was extremely commercial and touristy. We almost had a bit of an argument about how good or bad the place was. The only way to up to the Devils Postpile trailhead is to get on the shared buses that ply every 30 minutes from the resort area. 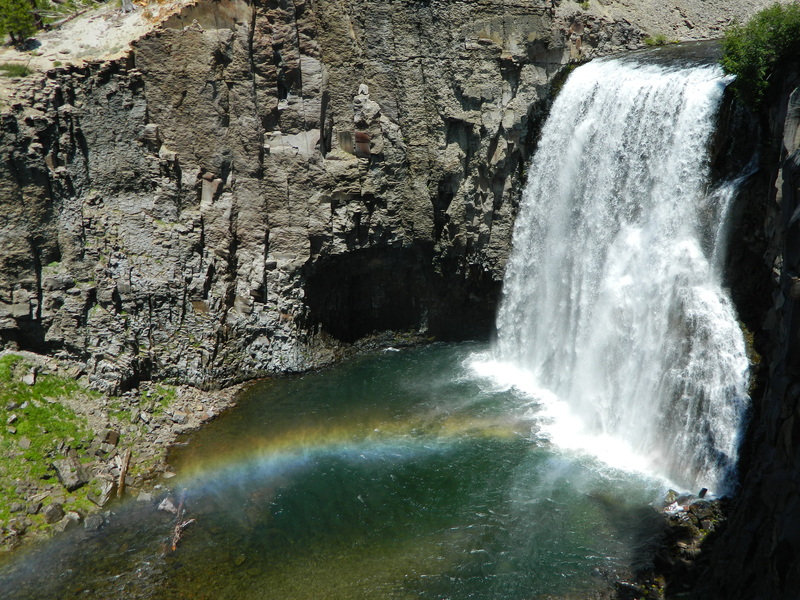 We got onto one of those with the intention of doing the Devils Postpile and the Rainbow Falls trail. First up was Rainbow Falls. The hike was small and easy and it got over pretty soon. We decided to hike all the way to the Devils Postpile monument from Rainbow Falls instead of taking the bus to the trailhead. It was a longish hike and we had no water. We decided to hike it and had water from a flowing stream on the way. We finally reached the Devils Postpile monument and it was brilliant. As good as we had expected. Next up was a drive through Yosemite. The whole park was overcrowded with people. It could be because it was the 4th of July holiday, but all in all we were left underwhelmed by the park because of how commercial and easy it was. We decided to drive to our next destination – Bishop, CA. We picked up a hitchhiking couple on the way back. They were quite young and seemingly irritated because their trip didn’t work out as planned. We decided to drive back to Lee Vining and drop them home which finally made the girl stop crying. When I saw them so young, and hitchhiking their way through, it almost made me realize of all those lost years when I never traveled. Of all those places I could have seen and all those crazy things I could have done. It was time to go onwards to Bishop and time to think of all the places we would travel together in the future. Roads that speak of a gritty and glorious past. Valleys that whisper the secrets of the Gold Rush. And as the name suggests you are not welcome here. This is death valley. Not for the faint of heart and nor for the ones lacking an adventure. We sped through the lifeless highways with nary a car in sight. Except for the occasional bird of prey, nothing survives here. It’s the Wild West in its true sense. The roads heave in a wave formation with crests and troughs after every few meters. We enjoyed the bumpy ride feeling right at home. 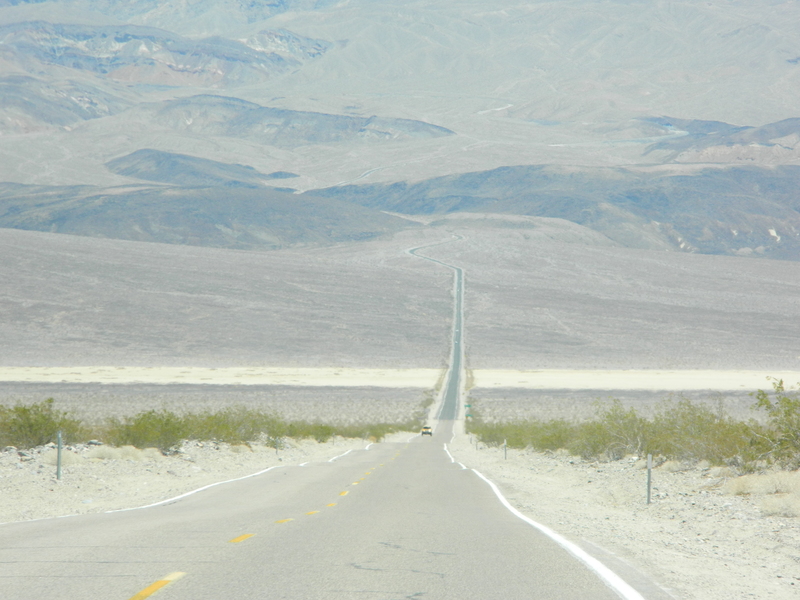 Soon we reached the lowest and the hottest point in the valley. We stopped among what looked like the first signs of civilization and marveled at how they survive these conditions. A gas station, a convenience shop and a saloon for the thirsty Travellers. We decided to cool off with a beer, collect some memorabilia and move on to our next destination, an oasis in the desert. Las Vegas. Coming into Vegas I did not think that it would be as overwhelming as everyone says and Neha was all gung-ho about it. But it is the moment you get close to Vegas after driving through death valley when you realize that it’s an oasis in the middle of nowhere and its teeming with people and their hopes and dreams and greed. It’s a place where there is no difference between day and night, between big and small, between rich and poor, between indoors and outdoors. It’s as if you are stuck in a weird time warp and trying to make sense of it all. We spent the first evening walking through the gigantic Caesars Palace and looking at the multitude of shops and restaurants. 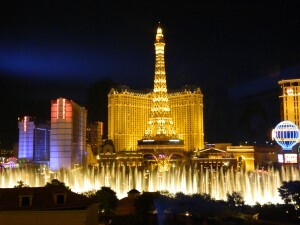 We had dinner at Bellagio and hit the sack early since we had traveled through the better part of the day. Next day was 4th of July and every place was chock full of people. A big lunch in Planet Hollywood and a few drinks in Cosmopolitan and we were all set for the day. 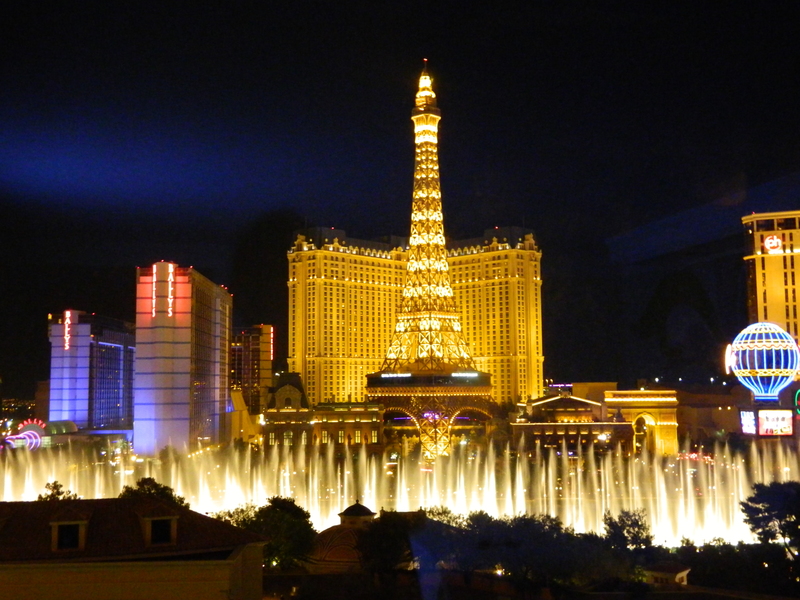 We lounged around all day and as evening approached we got ready to have a couple of drinks in Hyde, watch the Fountains of Bellagio and go for the Cirque De Soleil show, “O”. It was the last evening in Vegas before we head into the deserts of Arizona. We woke up early the next morning to check out of Bellagio and start for the Red Rock Country – Sedona, Arizona. We started southeast from Vegas towards Arizona and soon we were on flat roads and plains stretching far into the distance. However since we decided to stick to the interstate to save us time, there were quite a few cars around. By the noon we crossed Hoover dam and stopped for lunch at a Mexican restaurant called Titos. After a hearty meal we drove for nearly 4 hours when we came across a road sign for Sedona which was different than what the GPS suggested. We decided to follow the road sign which took us via a scenic route. Good decision. However we were very low on fuel and I really hoped that we got to Sedona without incident. We were staying at the Desert Quail Inn which was a really nice motel and after a brief conversation with its Indian owner we realized that he was a Gujarati too. They are truly everywhere from Talihina, OK to Bishop, CA to Sedona, AR and they are one of the most enterprising folks I have known. He recommended the Oak Creek Brewery for the evening and that’s what we decided to do. A short 15 minute drive later we were there and it was beautiful. Nestled between trees and a fountain this was a quaint little place for weary travelers to cool off with some nice brews. Sedona is a place with a beautiful vibe, there is beauty and calm everywhere. If you believe in barren beauty then this is the place to be. I equated the place with Yulara near Ayers Rock in Australia. There is a sense of restlessness and greed among the backpackers and travelers here – greed to consume all the beauty of the place within a few short days, to meet the fellow travelers and hear their stories and nod in agreement, to help new travelers find their way around and to grab those fleeting moments and hold on to them forever. 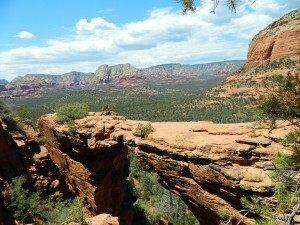 The next morning we set out to conquer the Devils Bridge trail which was a medium difficulty hike. It was tough driving to the trail head since the road was practically non-existent and we had a rental car that we needed to return in a good condition. We decided to leave the car on a dirt trail, halfway to the trail head. 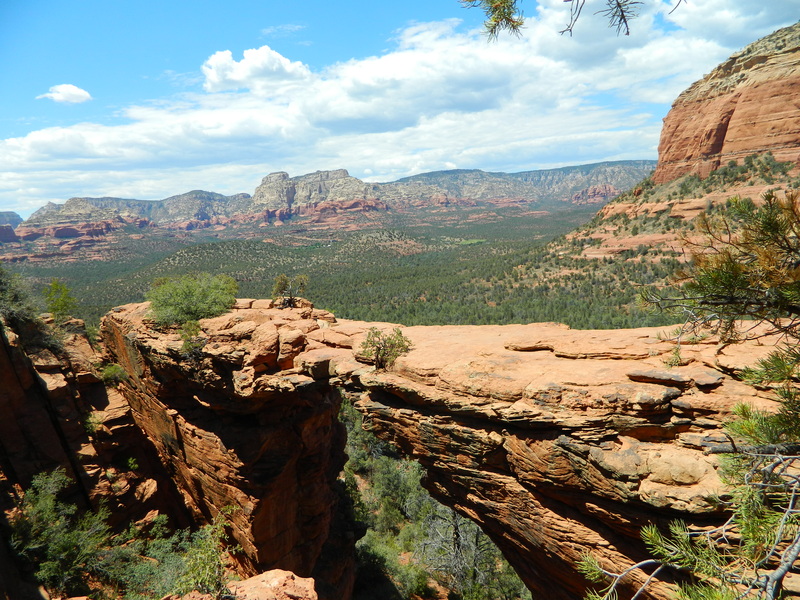 We walked to the trail head and started the steep hike up to Devil’s Bridge. It was difficult in parts and we realized how unfit we were to tackle it. However we went on with adequate halts to catch our breath. It was a beautiful view of the valley from up there and there was a serene calm to that place. The only sound you could hear was of the wind and the muddle of thoughts in your head. The way back was a lot easier except for the sun blazing down on us. Wonderful piece. This must have been one heck of a road trip…I can imagine the long highway scenes from Hollywood becoming real. Devil’s postpile, Las Vegas, Death Valley and Sedona must have been quite differing landscape and experiences. The local Corona beer should have kept u guys in high spirits…will definitely try and include a part of your trip in my itinerary….